2015-180 CUBA MNH 2015. IMPERFORATED PROOF BLOCK 4. CUBAN FLAG. BANDERA CUBANA. ANIV CDR. 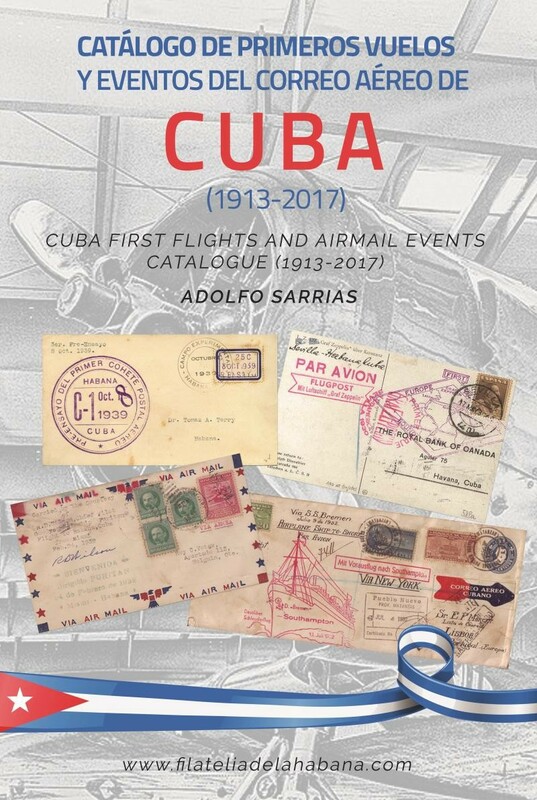 2015-181 CUBA MNH 2015. IMPERFORATED PROOF BLOCK 4. ARBITRAJE COMERCIAL. SHIP. BARCO. 2015-182 CUBA MNH 2015. IMPERFORATED PROOF BLOCK 4. ALICIA ALONZO. BALLET. DANZA. DANCE. 2015-183 CUBA MNH 2015. IMPERFORATED PROOF BLOCK 4. LABOR DAY. DIA DEL TRABAJADOR. 2015-186 CUBA MNH 2015. IMPERFORATED PROOF BLOCK 4. ELISEO REYES. CAPITAN SAN LUIS. 2015-187 CUBA MNH 2015. IMPERFORATED PROOF BLOCK 4. ANIVERSARIO DE LA ONAT. 2015-188 CUBA MNH 2015. IMPERFORATED PROOF BLOCK 4. MARIANA GRAJALES CUELLO. INDEPENDENCE WAR. 2015.1 CUBA 2015. MNH. ORGANIZACION NACIONAL BUFETES COLECTIVOS. ABOGACIA. JUSTICIA ADVOCACY. LAWYERS. JUSTICE. 2015.100 CUBA 2015 MNH PROOF IMPERFORATED BLOCK 4 ARCHEOLOGY FELINE FELINOS CAT PUMA. 2015.101 CUBA 2015 MNH PROOF IMPERFORATED BLOCK 4 ARCHEOLOGY FELINE FELINOS CAT TIGRE TIGER. 2015.102 CUBA 2015 MNH PROOF IMPERFORATED BLOCK 4 ARCHEOLOGY FELINE FELINOS CAT LEOPARDO. 2015.104 CUBA 2015 MNH PROOF IMPERFORATED BLOCK 4 ARCHEOLOGY FELINE FELINOS CAT LEOPARDO. 2015.106 CUBA 2015 MNH PROOF IMPERFORATED BLOCK 4 PREHISTORIC WHALE BALLENA. 2015.114 CUBA 2015 MNH. COMPLETE SET. DIPLOMATIC RELATIONSHIP WITH RUSSIA. TETE BECHE. 2015.117 CUBA 2015 MNH PROOF IMPERFORATED BLOCK 4 FLORES FLOWER COPIHUE CHILE. 2015.119 CUBA 2015 MNH PROOF IMPERFORATED BLOCK 4 FLORES FLOWER BRASIL BRAZIL. 2015.120 CUBA 2015 MNH PROOF IMPERFORATED BLOCK 4 FLORES FLOWER BUTTERFLIE. 2015.121 CUBA 2015 MNH PROOF IMPERFORATED BLOCK 4 FLORES FLOWER DALIA MEXICO. 2015.122 CUBA 2015 MNH PROOF IMPERFORATED BLOCK 4 FLORES FLOWER ORCHID HONDURAS. 2015.123 CUBA 2015 MNH PROOF IMPERFORATED BLOCK 4 FLORES FLOWER VENEZUELA. 2015.125 CUBA 2015 MNH PROOF IMPERFORATED BLOCK 4 PERRO DOG BORDER COLLIE PASTOR ALEMAN. 2015.126 CUBA 2015 MNH PROOF IMPERFORATED BLOCK 4 PERRO DOG SAN BERNARDO. 2015.128 CUBA 2015 MNH PROOF IMPERFORATED BLOCK 4 PERRO DOG COCKER SPANIEL. 2015.129 CUBA 2015 MNH PROOF IMPERFORATED BLOCK 4 PERRO DOG GOLDEN RETRIEVER. 2015.130 CUBA 2015 MNH+HF. COMPLETE SET. PECES FAUNA MARINA. FISH. FAUNA MARINA. SEA. 2015.135 CUBA 2015 MNH PROOF IMPERFORATED BLOCK 4 SEA PECES FISHS PEZ MOLLY. 2015.136 CUBA 2015 MNH. ANIV 75 ELISEO REYES CAPITAN SAN LUIS. CHE GUEVARA. CAPTAIN. 2015.137 CUBA 2015 MNH. BLOCK 4. ANIV 75 ELISEO REYES CAPITAN SAN LUIS. CHE GUEVARA. CAPTAIN. 2015.138 CUBA 2015 MNH PROOF IMPERFORATED BLOCK 4 SEA PECES FISHS LUCHADOR DE SIAM. 2015.14 CUBA 2015 MNH. COMPLETE SET. 160 ANIV. PRIMER SELLO EN CUBA.